The ACT sent a team to participate in the 2017 Australia National Championships and Ede Clendinnen Shield team event held in Melbourne in February. 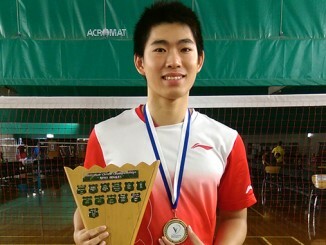 Anthony Joe held his title by winning the men’s singles event for the second consecutive year. The ACT combined with the Northern Territory to create the “Territories” team and finished 7th after narrowly beating Tasmania 7-6 in the final match. 13 – 14 January 2017, Altona North, Victoria. 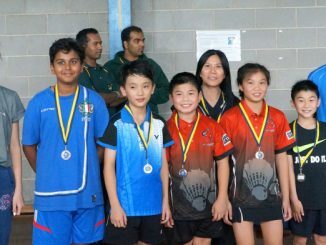 Aline and Cédric made the trip down to Melbourne to compete in the annual U13 carnival, a 2-day events comprising of a team event and an Individuals event. We are looking for expressions of interest for the 2017 Australasian Under 17 National Championships (individual event) and the June Bevan Trophy (team event) held in Launceston, Tasmania. The June Bevan Trophy will be held on Friday 14th to Tuesday 17th April. The Individual event will be held on Friday 14th – Tuesday 17th April. 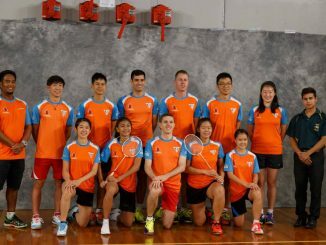 If you are interested, please contact us at badminton@badmintonact.asn.au. Several of ACT players are taking part at the June Bevan Trophy and The Australasian U17 Championships combined with players from the Northern Territory to form the “Territories Team”. Several ACT players combined with players from NSW and NT took part in the 2016 Ede Clendinnen Shield to form “The Territories” Team. Congratulations to The Territories team, finished at position 6 of the final standings. Congratulations to Anthony Joe (ACT) for winning the men’s singles final, beating Ashwant Gobinathan (VIC), 21-11 21-12 in 27 minutes. Well done! Congratulations to the Australian Women’s Team, winning the Championships, beating New Zealand 4-1 in the Final. 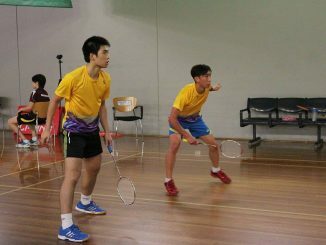 However, the Australian Men’s Team was not so lucky, losing to New Zealand 1-4 in the Final. Call for Expression of Interest from those who wish to be line judge volunteers for the Australian Badminton Open, 7-12 June 2016. The more line judges we have, the easier it will be for the team during the tournament.